The ILO Intern Board, in collaboration with the Human Resources Department, is sponsoring every year the Intern Development Day (IDD). 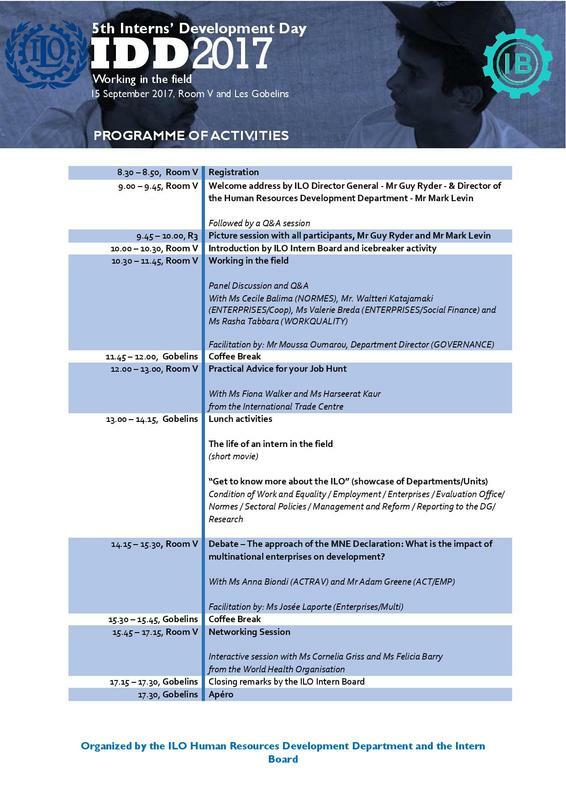 This all-day event is an opportunity for interns to develop professional skills and enhance the overall learning experience of the ILO's intern body. Find more information on the upcoming fourth IDD 2016 here soon.